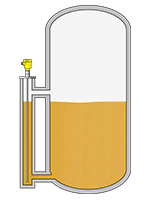 The VEGAFLEX 81 is a level sensor that measures a variety of liquids. Even in applications with vapor, foam generation, buildup and condensation. The sensor provides reliable and precise measured values. The VEGAFLEX 81 is the cost-effective solution for various level and interface measurements. 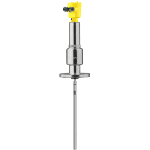 The VEGAFLEX 81 guided radar sensor is unbeatable when it comes to measuring the level or interface of liquids. Guided radar is incredibly versatile and can be found in nearly every industrial sector. Whether bitumen or liquefied gas, in storage containers or standpipes, in a metering tank or in tank farms – VEGAFLEX 81 measures the level or interface (separation layers) of liquids with great accuracy and reliability.